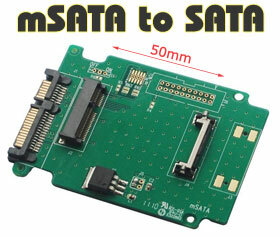 This is designed to enable any mSATA SSD to be used as a direct replacement for a 2.5" SATA hard drive on any OS. 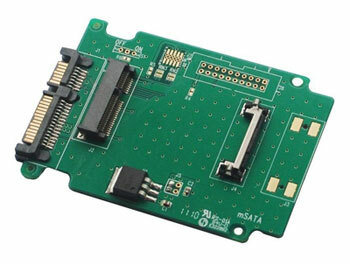 As a result, any equipment with a standard SATA port, such as a Notebook computer, Netbook or PC can be easily converted to take advantage of a high performance, low power and shock resistant mSATA drive. 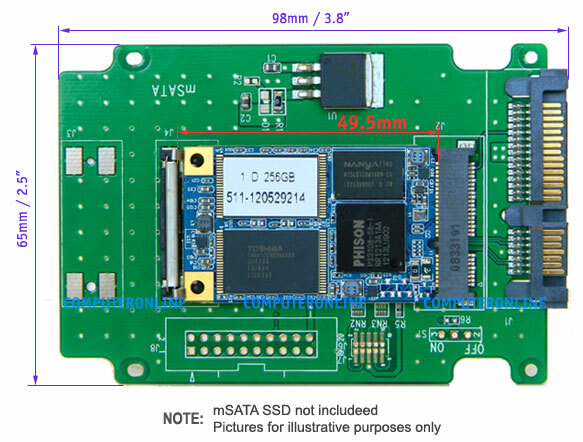 2.5" x 3.8" x 0.2"